Beautifully renovated ranch in heart of Garden Hills. Move in ready with new bathrooms. Walk in shower in master bath. New interior doors and expanded master closet. Huge deck off living room overlooking ample fenced yard. 2 car carpot. Lot big enough for expansion of house if desired. Directions:From Buckhead, go South on Peachtree. Left on Lindbergh. Left on Parkdale. SchoolsClick map icons below to view information for schools near 2493 Parkdale Place NE Atlanta, GA 30305. Home for sale at 2493 Parkdale Place Ne Atlanta, GA 30305. 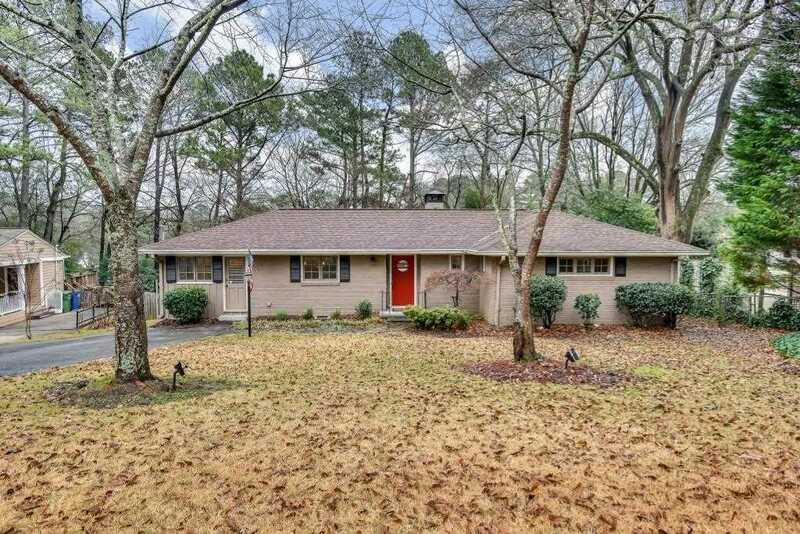 Description: The property at 2493 Parkdale Place Ne Atlanta, GA 30305 in the Garden Hills subdivision with the MLS# 6123427 is currently listed for $629,900 and has been on the market for 86 days. You are viewing listing details of the home for sale at 2493 Parkdale Place Ne Atlanta, GA 30305, which features 3 bedrooms and 2 bathrooms, and 1596 sq.ft. of living area.